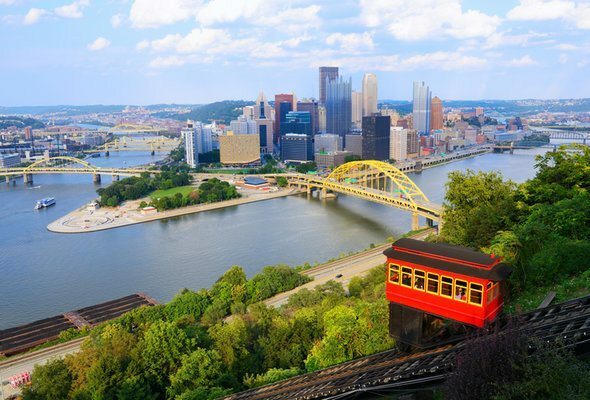 The Steel City is known for its industrial history and its scrappy charm. Recently, several articles have touted Pittsburgh as an affordable option for young creatives priced out of other cities. Let’s take a closer look at the cost of living in Pittsburgh and how expensive it is to live in Pittsburgh. Pittsburgh boasts some beautiful historic homes as well as newer builds and more affordable units. If you can afford a down payment for a Pittsburgh home you’ll have a lot of good options. But what will a Pittsburgh home cost you? According to Zillow, the median price of sold homes in Pittsburgh is $145,770. Median home value is $125,700 which is a 6% increase from last year. The median price of homes listed is the highest out of the metrics at $185,000. That number is still relatively affordable for city-based home. The homeownership rate is 47% based on data from the Census Bureau. If you need some help drafting a financial plan before you take the plunge, you can always turn to Pittsburgh’s top 10 financial advisor firms. Still on the rent side of the rent-or-buy decision? Rent in Pittsburgh is more expensive than in the surrounding areas but less expensive than in many large cities. According to Rent Jungle, the average rent for a one-bedroom apartment in Pittsburgh is $1,076 (a decrease of 10% from last year). A two-bedroom place will cost you $1,436. The overall average rent is $1,250 for a place in Steel City. However, if you want to live in Troy Hill, Strip District or Bluff, you’ll have to pay $500 to $600 more than the average. 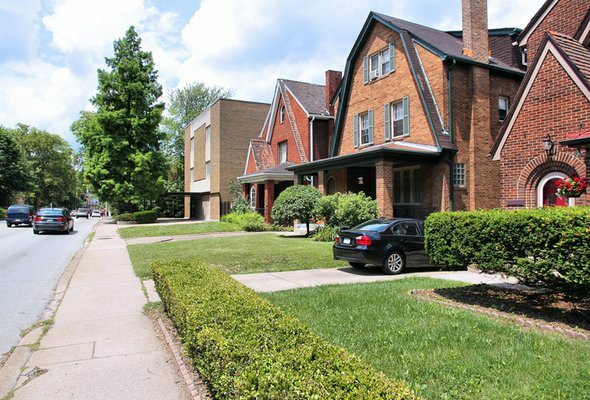 Troy Hill, the most expensive neighborhood, will run you close to $1,850 in rent, on average. According to Numbeo.com, in Pittsburgh a basic package of utilities, including heating, water, electricity and garbage, costs an average of $169.80. That’s the average for a 915-square-foot apartment and it’s 15% higher than the U.S. average for the same utilities package based on the same apartment size. If you want to add internet to your monthly utility budget, expect to pay around the Pittsburgh average of $74 per month. Numbeo’s monthly recommended minimum spending on food in Pittsburgh is $359.60 compared to a recommended minimum of $325.81 for the overall U.S. The daily recommended minimum for Pittsburgh is $11.60. For the U.S., the recommended daily minimum is $10.51. Some of Pittsburgh most famous food items are inexpensive, so you can get a feel for the city’s culinary culture without breaking the bank. Some affordable Pittsburgh classics are Halupki (Eastern European meat and cabbage rolls), hot dogs, chipped ham and pierogis. If you want to go out to eat somewhere mid-range, the average cost of a meal for two is around $50, much cheaper than cities such as Austin, New York or San Francisco. In Pittsburgh, it helps to have a car. The city isn’t so big that you’ll find everything within the limits, but you can make do. If you don’t plan on driving while living in Pittsburgh there are public transportation options. Bus service is free in the Downtown Pittsburgh area known as the Golden Triangle as well as the North Shore area between North Side Station and Allegheny Station. In other areas, bus fare is $2.50 with a ConnectCard or $2.75 with cash. For an unlimited pass at full price, you’ll pay $97.50 per month or $1,072.50 annually. If you drive, expect to pay high prices for gas. Pennsylvania usually tops the charts for highest state taxes on gas and diesel fuel. Car insurance rates aren’t quite as high, but are still on the high average side compared to the U.S.
Property taxes in Allegheny County, where Pittsburgh is located, have an average effective rate of 2.16%. That’s higher than the Pennsylvania average effective property tax rate, and the national average effective property tax rate. When it comes to income taxes, Pittsburgh is a bit of a special case. Like many other Pennsylvania municipalities, Pittsburgh has a city-level income tax, with a rate of 3%. That rate combines a 1% wage tax and a 2% school tax. The Pittsburgh income tax applies to anyone who earns income and net profits and is a resident of the city or school district of Pittsburgh. 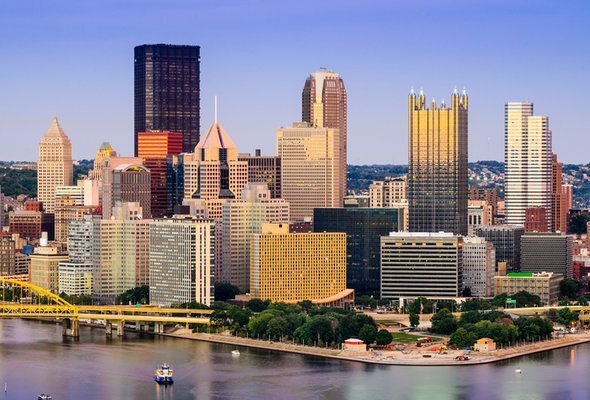 Non-Pennsylvania residents who work in Pittsburgh only pay 1%. Pittsburgh is home to some passionate sports fans. How much does it cost to join their ranks? It depends on the sport. The average ticket price for a Pittsburgh Steelers football game ranges from $100 to $300, according to TicketIQ. Too steep for you? The average ticket price for the Pittsburgh Penguins hockey team is around $150. Still too expensive? The average ticket price to see the Pittsburgh Pirates play baseball in their beautiful stadium is just $300, according to SeatGeek. $56.55. Pittsburgh is a great city for art-lovers, too. An adult admission to the Carnegie Museum of Art will cost you $19.95; child admission is $11.95. You can visit the Andy Warhol Museum for $20, kids for $10. For contemporary art and an experimental lab that features installations created by artists-in-residence, head to the Mattress Factory. Admission is $20 for adults, $15 for students and children over six. If you’re gearing up for a move to Pittsburgh, it can be helpful to know how the change will affect your budget so you can plan accordingly. If you’ll be switching jobs, your paycheck may end up looking quite different than it does now. Our Pennsylvania paycheck calculator can help you figure out what your new take-home pay will be.